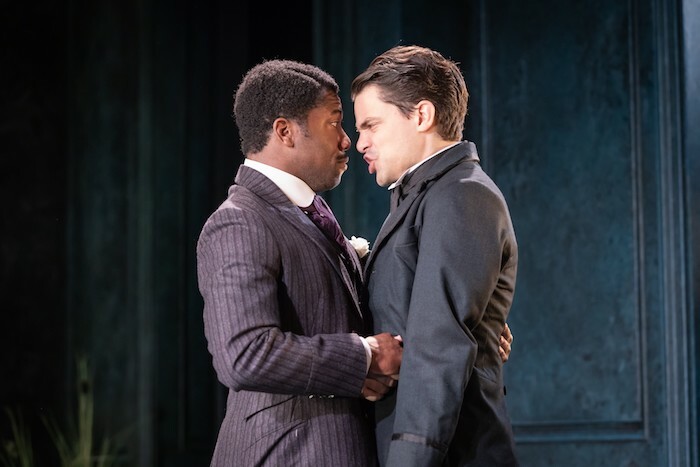 Classic Spring’s year-long season ends with Wilde gone wild: a free love riot that yanks the queer subtext into text, with everyone from masters and servants to, er, the long-lost brothers sharing snogs and cigarettes. The famous passive aggressive tea party turns into a food fight, and even Lady Bracknell is at the sherry. This entry was posted in Journalism, Theatre and tagged august, book tickets, broadwayworld, cheap tickets, comedy, discount, downton abbey, jeremy swift, london, oscar wilde, play, review, sale, save, sophie thompson, summer, the importance of being earnest, theatre, ticket deal, vaudeville theatre, visit london, west end. Bookmark the permalink.